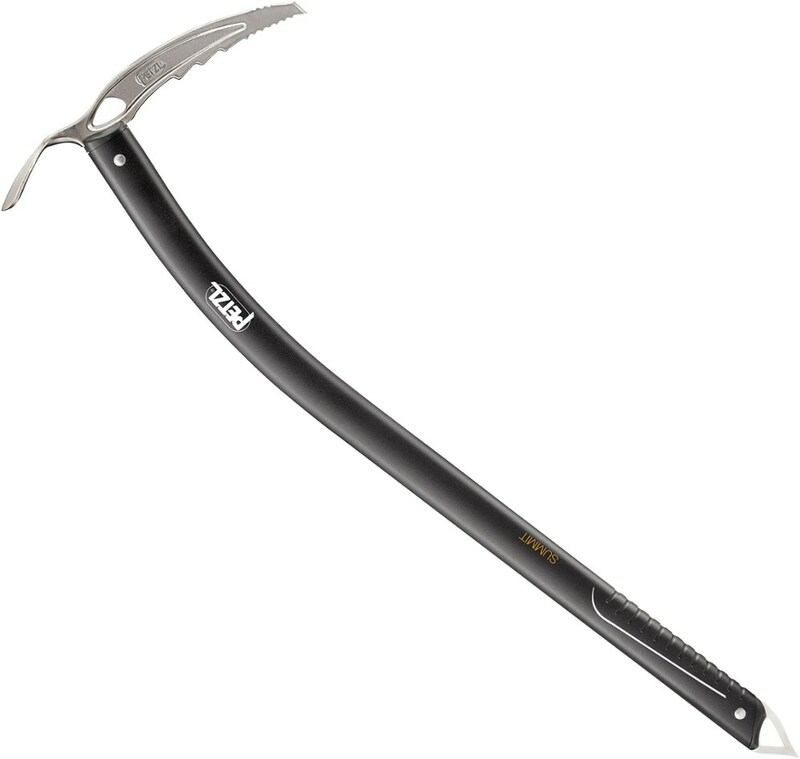 Designed for classic mountaineering, the Petzl SUMMIT EVO Ice Axe is the tool of choice for all types of alpine trips. Lightweight and with a waterjet-formed tube, it offers a very comfortable grip under the head of the axe. The technical design of the curved shaft provides the necessary clearance on steep, icy terrain. The forged and well-balanced head provides very good anchoring qualities. 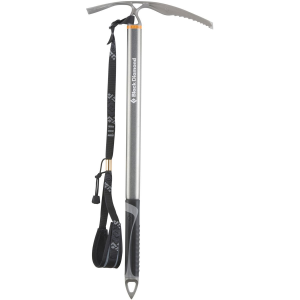 The grip of the shaft makes it a precise and efficient ice axe. 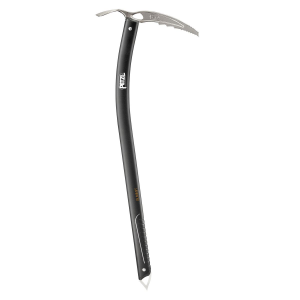 Petzl Alpine & Ice Climbing Summit Evo Ice Axe-52 cm U14B052. Lightweight and with a waterjet-formed tube it offers a very comfortable grip under the head of the axe. The technical design of the curved shaft provides the necessary clearance on steep icy terrain. The forged and well-balanced head provides very good anchoring qualities. 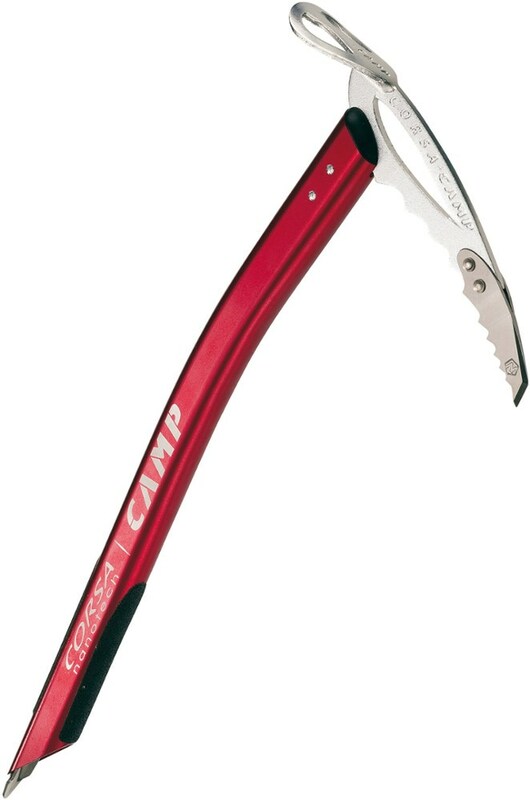 The grip of the shaft makes it a precise and efficient ice axe. 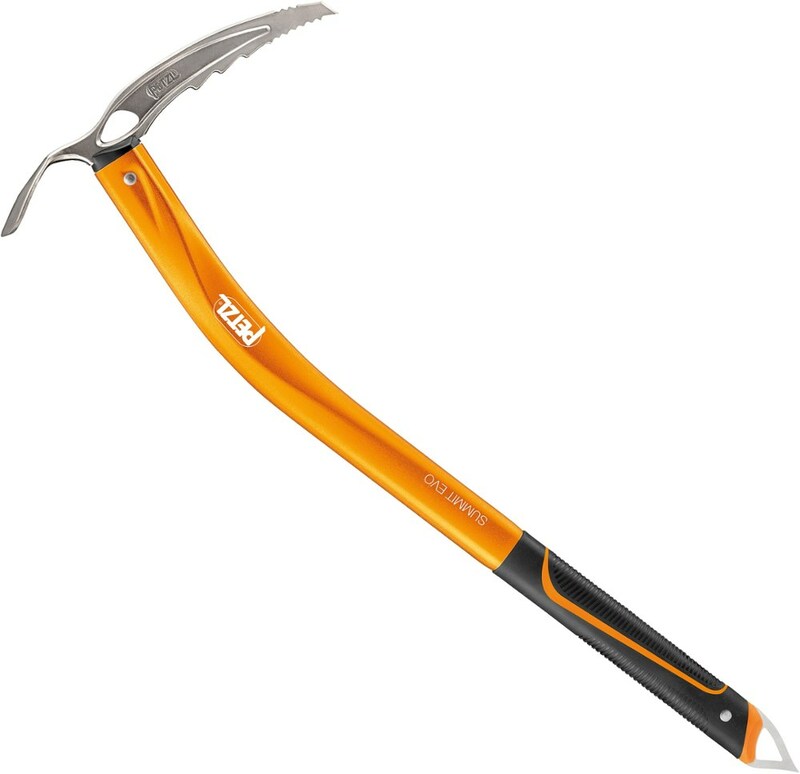 Designed for classic mountaineering, the Petzl Summit Evo Ice Axe has a lightweight shaft and strong, durable head that make it the tool of choice for all types of alpine trips. The Petzl Summit Evo Ice Axe is an all-around, well-balanced tool for multi-discipline days spent in the mountains. 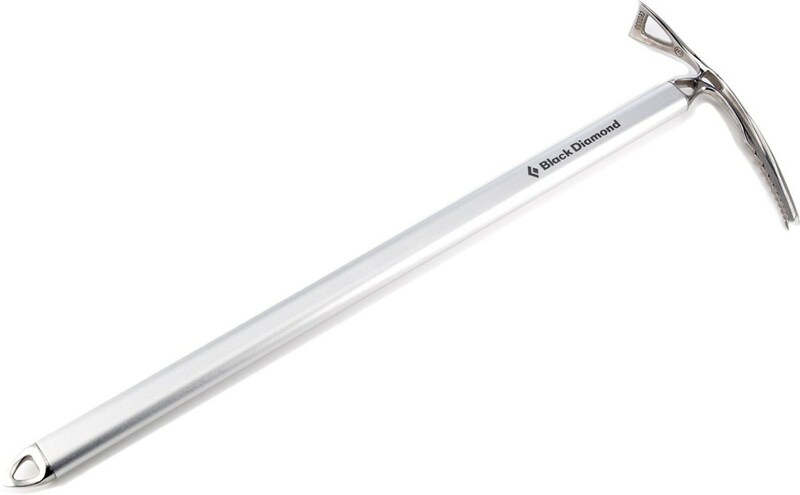 The anodized aluminum shaft features a slight curve near the top, with a straight bottom that makes the tool ideal for plunging into the snow, but the upper curve offers enough clearance to be used on more technical sections. The steel adze and hot-forged steel head and pick are plenty durable, with the pick featuring teeth on the upper part to allow for solid anchoring. The bottom spike is made of stainless steel, enabling it to be plunged into harder, icier snow. Both the top and bottom feature holes for clipping carabiners, letting you create anchors quickly and easily.